A popular dream of science fiction has been the creation of a vast database containing all known information about the galaxy, an Encyclopedia Galactica. It would list the characteristics of stars in the Milky Way, their planets, and even the history of human alien civilizations. While still a dream in most ways, the foundation of such a cosmic Library of Alexandria is being laid with the first release of data from the Gaia spacecraft. 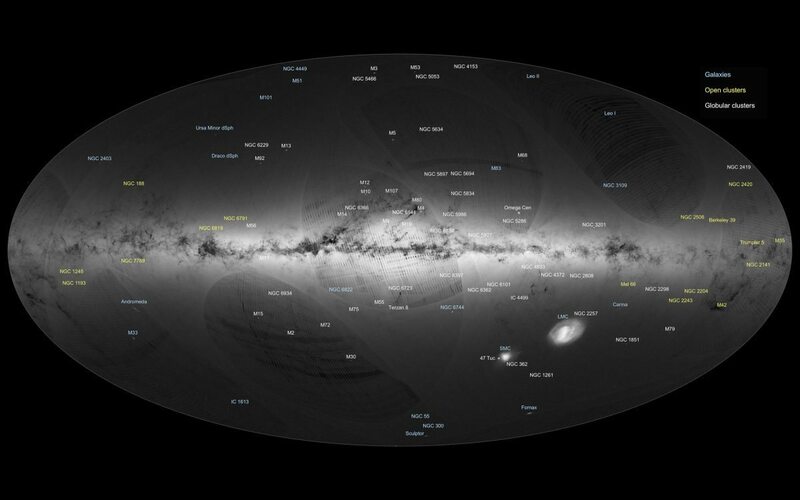 The initial data release contains information on more than a billion stars. It gives the position and brightness of 1,140,622,719 stars in our galaxy and nearby dwarf galaxies, with distance and motion data for about 2 million stars. 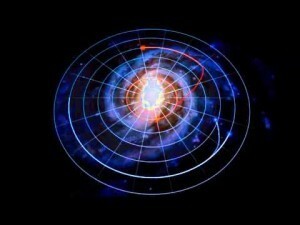 If a cosmic encyclopedia is created, it will begin with the data from Gaia. What makes the data so powerful is its combination of size and precision. Other spacecraft such as Hipparcos have mapped about 100,000 stars, but the Gaia mission will precisely determine the position and motion of more than a billion stars. That’s still only about 1% of the total number of stars in our galaxy, but it’s large enough that we can study aspect of the Milky Way like never before. For example, since stellar motion is determined by gravitational interactions, the data will allow us to determine the overall mass and distribution of mass within the Milky Way. Comparing the mass distribution to the distribution of stars, we can better determine the distribution of dark matter in our galaxy. The data will also allow us to determine the motions of stars within clusters, which will not only help us understand the origin and evolution of star clusters, it will help us learn more about our galactic history. Measuring the positions and motions of all these stars requires precise observations of the stars’ brightness and spectra over time. This data can also be used to discover exoplanets. It’s expected that Gaia will discover any Jupiter-mass planet orbiting stars within 150 light years of Earth. It could detect nearly 50,000 planets over the course of its mission. The data not only determines the location of stars, but also their size and type. The initial data contained 3,194 variable stars, which not only help us understand stellar evolution, they are also used to determine galactic distances. Overall the precision of the data is so high it will allow us to test theories such as general relativity in new and subtle ways, possibly leading to the discovery of new physics. Then there are the secondary discoveries that might occur. While Gaia’s mission is to measure stars, in practice it measures the brightness and location of any object over an apparent magnitude of 20. This includes countless asteroids, Kuiper Belt objects, and any large outer solar system planet within 200 parsecs. It will also observe occultations of stars by solar system bodies, such as the recent occultation of a faint star by Pluto, which helped us study Pluto’s atmosphere. Perhaps what makes Gaia most exciting is that the data is released publicly. Since anyone can access the data, it can be used in ways the Gaia team hasn’t anticipated. It truly is a great encyclopedia available to all. If I’d had a chance to name the spacecraft, instead of Gaia I likely would have gone with [Hari] Seldon. From the Encyclopedia Galactica, 1st Edition, Encyclopedia Galactica Publishing Company, Terminus, 1020 FE. I’m really picking at nits here, but I thought the Milky Way contains close to one trillion stars, so this mapping is closer to 0.1% than to 1%. We don’t know the exact number, of course, but reasonable estimates put it at 100-400 billion, probably on the lower side. 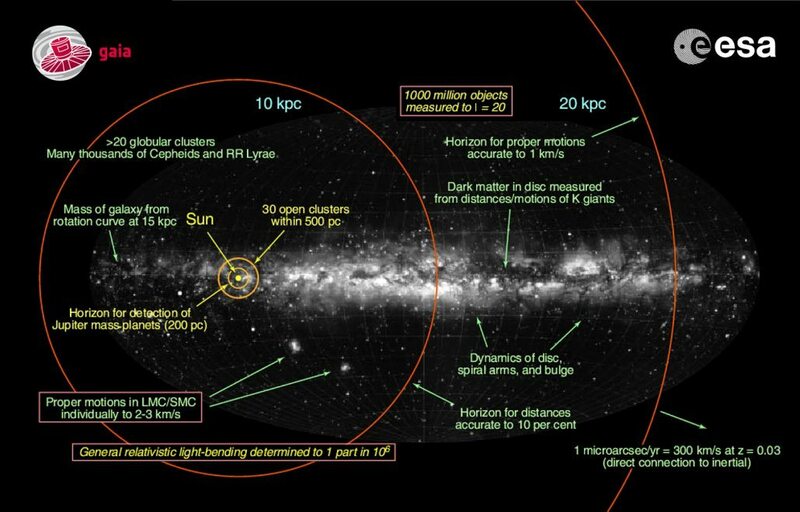 Presumably this also marks one more nail in the coffin of young-earth creationism (not that they’ll notice) as Gaia will measure parallax distances accurately out to around 30k LY.